Future and his baby mama, Brittni further fuel speculation that they're back together. Future typically keeps his personal life under wraps, especially when it comes to his relationships but lately, it appears that he's back together again with the mother of his child. Although they've had their ups and downs over the past few months, the two of them are still going strong and it looks like they're putting in the effort to make it work. Brittni recently shared photos of her and Future looking super boo'd up and reminding everyone that cuffing season is essentially here. Over the past few weeks, Brittni's been showing off Future more and more on the 'Gram and confirming that the two of them are back together. Yesterday, she took to her Instagram story to share a boomerang of herself tucking on Future's dreads while he was asleep with the caption, "Get upppppp let's gooooooo eat," followed by a facepalm emoji. It seems as though Future was still feeling pretty tired to go out but he still did it anyways. She shared a photo of herself with Future resting his head on her shoulder with the caption, "Chill." Future and Brittni have been spotted together on numerous occasions over the months. 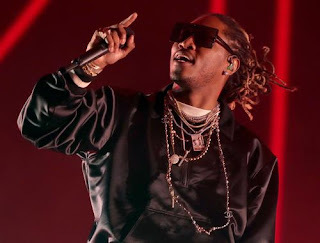 They hit a rough patch in the summer after Future was allegedly spotted creeping with another woman in Canada. Thankfully, they've worked their way through it and are still going strong.